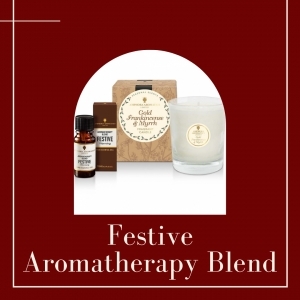 ‘Festive’ Aromatherapy Blend joins Amphora Aromatics’ Home Aroma range this Christmas. - Amphora Aromatics Ltd – Supplier of pure essential oils and aromatherapy Products. 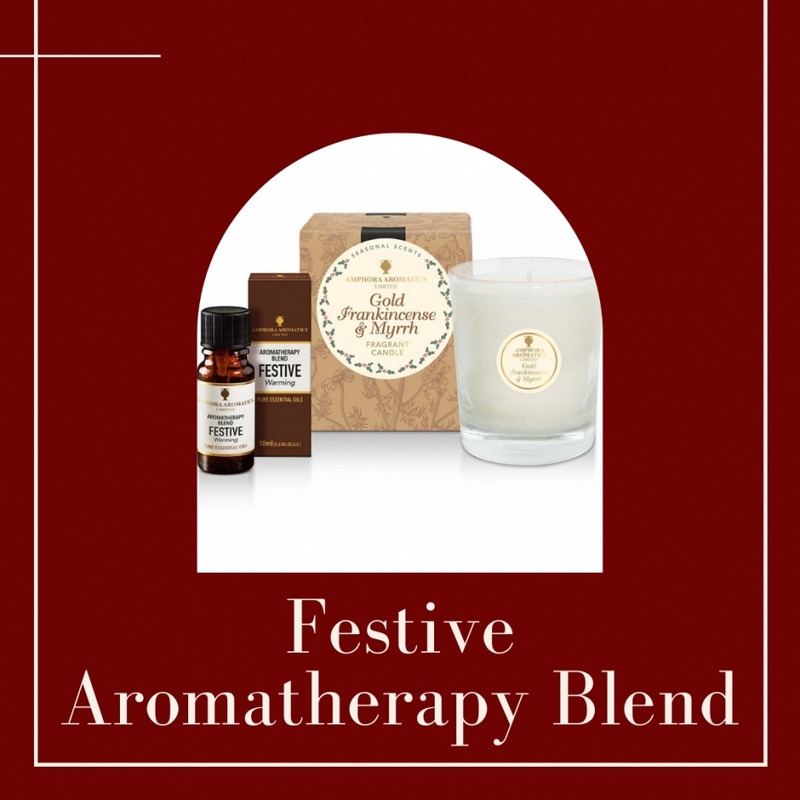 just a few drops of this comforting and restorative blend in a diffuser or burner will instantly create a festive feel. The ‘Festive’ blend joins Amphora Aromatics’ new Christmas range of aromatherapy candles, mini candles and reed diffusers, packaged in decorative, festive presentation boxes. Fragrances include Angel Oil, Frankincense & Myrrh and Marzipan & Candied Peel – all formulated to create a Christmassy, warming ambience. Passionate about the power of aromatic scent, Amphora Aromatics has created its home aroma range of essential oil blends, aromatherapy candles, reed diffusers and incense sticks to boost wellbeing as well as put family and friends in a party mood. A host of different fragrances are available across the range, from invigorating blends such as Rosemary & Thyme, Tea Tree & Geranium or Citrus Tonic to stimulate the mind, through to warming blends such as Orange & Clove and Limeleaf & Ginger. Perfect gifts, Amphora Aromatics’ aromatherapy pot candles come two sizes - 20 and 40-hour – and each candle is formulated from 100% plant wax from sustainable sources. The home range also includes 2x2, 3x3 and 6x3 essential oil Pillar Candles, from relaxing Patchouli and Lavender to comforting Juniper and Pine and warming Cinnamon. Amphora Aromatics has also created specific blends to promote relaxation and wellbeing, available in the reed diffuser range, choose from Love & Peace to Mandarin, Lime & Basil. Subtly fragrant reed diffusers absorb fragrances through natural reeds, creating a gorgeous ambience. Or, for a more intense festive aroma, try Amphora Aromatics incense sticks in sleeves of 15. Available in Orange and Clove, Cinnamon, Frankincense and Myrrh and Spiced Apple. Prices: £5.50 for a 20-hour pot candle; £9.50 for a 40-hour pot candle; £13.50 for a natural reed diffuser and £9.00 for a refill. A sleeve of 15 incense sticks is £3.00. To find out more visit www.amphora-retail.com or Tel: 01179087770.